We know that Google tends to penalize duplicate content, especially when it's something that's found in exactly the same form on thousands of URLs across the web. So how, then, do we deal with things like product descriptions, when the manufacturers require us to display things in exactly the same way as other companies? 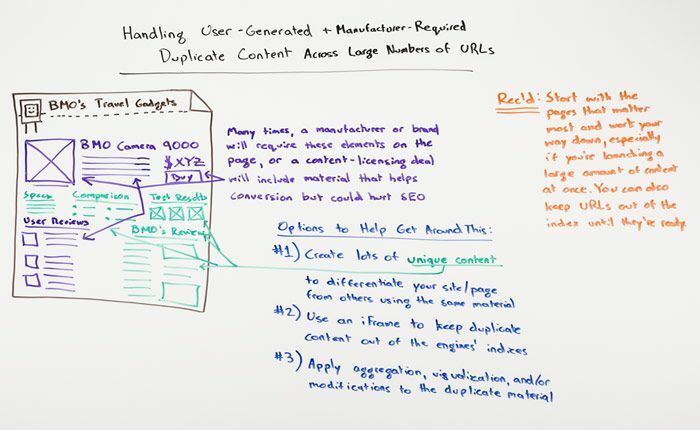 In today's Whiteboard Friday, Rand offers three ways for marketers to include that content while minimizing the risk of a penalty.